Maybe you are thinking, Jessica, I have already seen your kitchen, why must you share again? 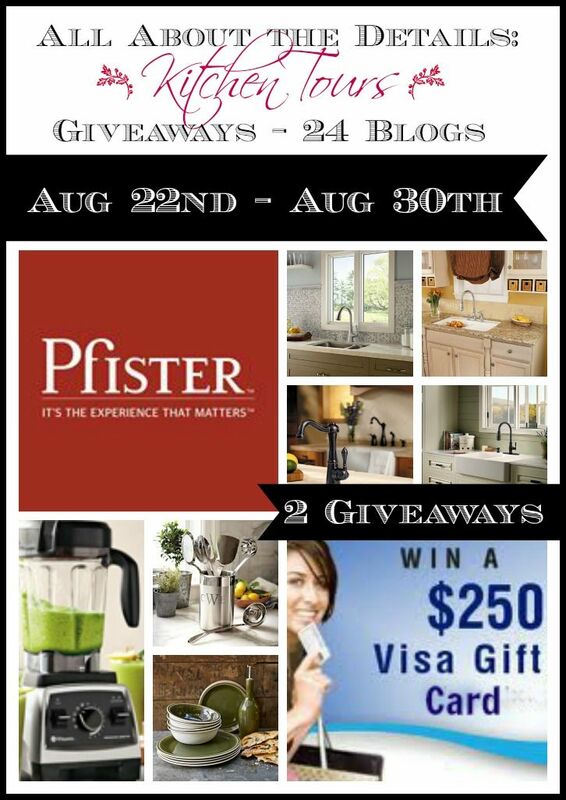 Well, today I am participating in a fun kitchen tour with some of my best blogging friends, and we have a super awesome giveaway for you. 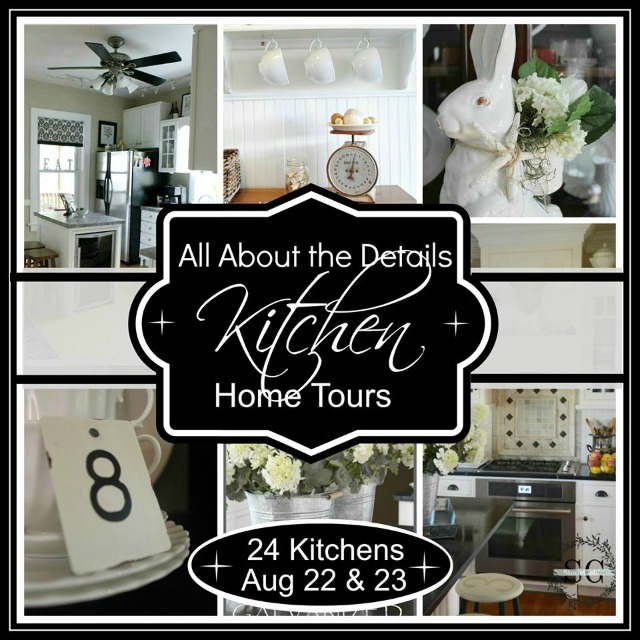 Last month we did a tour of homes, and it was so much fun that this month we decided to do a tour of kitchens. I hate to tell you, but you may be getting the short end of the stick with me. 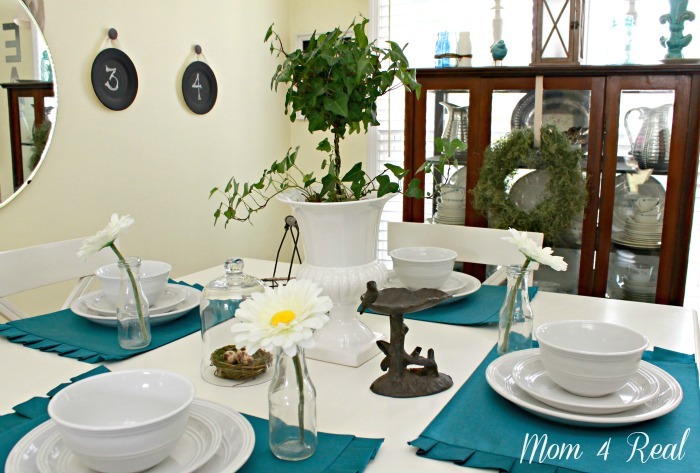 My kitchen is not magazine worthy…it’s family worthy. We live here. We eat here. We pile up dirty dishes here. And…right now our kitchen is kind of a disaster…it’s going through a few changes…again. You’ll notice that our kitchen is quite bold. It’s fun! I had painted our cabinets white a few months before this photo was taken, and loved it. I kept seeing open cabinets every where and decided one day to see if I could make them work for our kitchen. 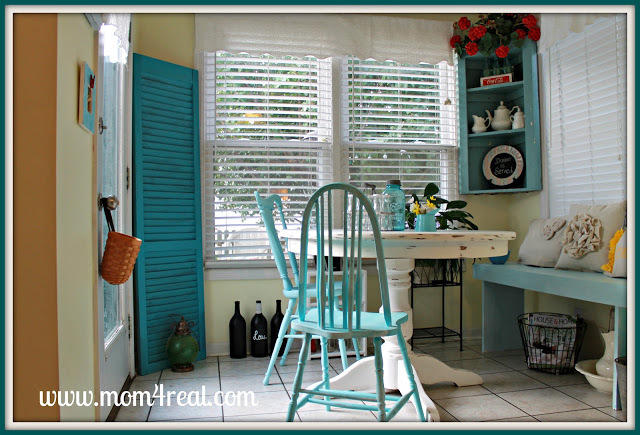 I took the doors off of the cabinets, painted the insides my favorite shade of aqua, and immediately felt vindicated! This photo was taken when I painted my counter tops with faux granite paint. 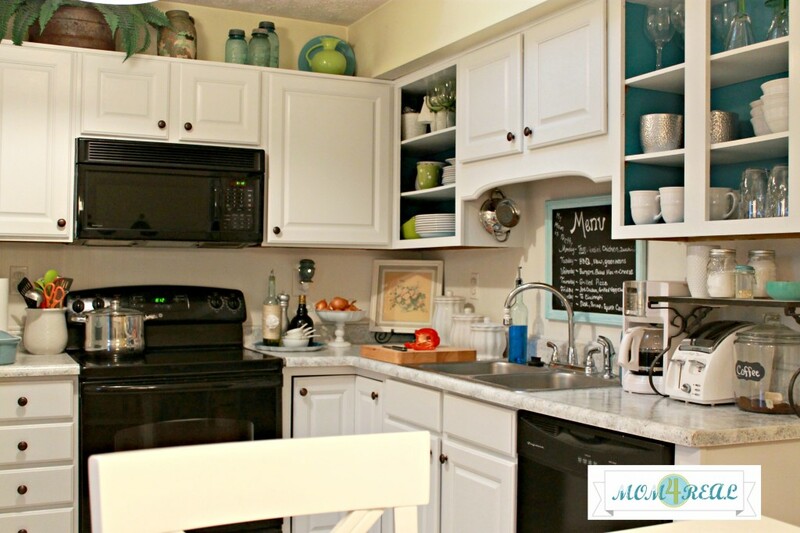 It completely changed the look of our kitchen, but didn’t stand up to the wear and tear of our kiddos. Our kitchen is constantly changing…like every single day. In fact, right now, the upper cabinets look the same, but the counter top is being changed as we speak, a new sink is being installed, and well, who knows what else will be changed by the time I’m finished playing around…I promise to share by the end of September! 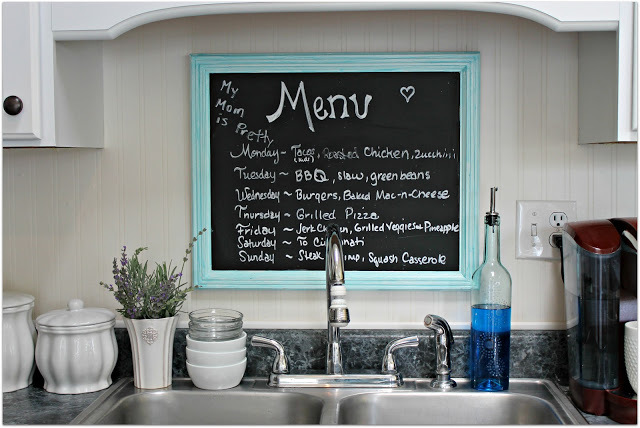 This little menu chalkboard is one of my favorite details in our kitchen. I had been longing for a window above my sink, and since the only view I would get through a window here would be my living room, I decided to add a chalkboard instead. Kate added a little message to the left hand corner that makes me smile every time I see it. And here is the one I installed all by myself a few weeks ago…isn’t she a beaut? This is the Pasadena by Pfister, who is offering a faucet as a giveaway at the end of this post! I am installing the sink next week which is actually kind of backwards, but that’s just the way I roll. That’s the just of it for me…practical, functional, and fun! So now that you see that our kitchen is smallish, I am going to share our dining area and breakfast nook since they are extensions of our kitchen as well. We have a square bar height table that we just love. It’s so us. This is where we laugh, share our day’s stories, and enjoy time together. Sometimes you will find a few giggling girls here whispering about Nial from One Direction, and other times you’ll find a few teenage dudes inhaling pizza like they aren’t going to make them anymore. Then there is the breakfast nook…once upon a time it looked like this. Just the perfect space for a mom to have her coffee in the morning, but alas, it was not meant to be. Since our home is smallish, I ended up needing some space to do my crafting, so I turned it into a temporary office. Then…. I missed my little round table so much that I brought it back in and turned our nook into a homework station, and well, a sweet space for me to do my crafting as well! Didn’t I tell you that things change around here A LOT? I wasn’t kidding. This is a before, after, and after again shot. So what do you think? Much better now, right? And totally real. Thanks so much for hanging with me…I hope you’ll hang out for a bit and take a look around! 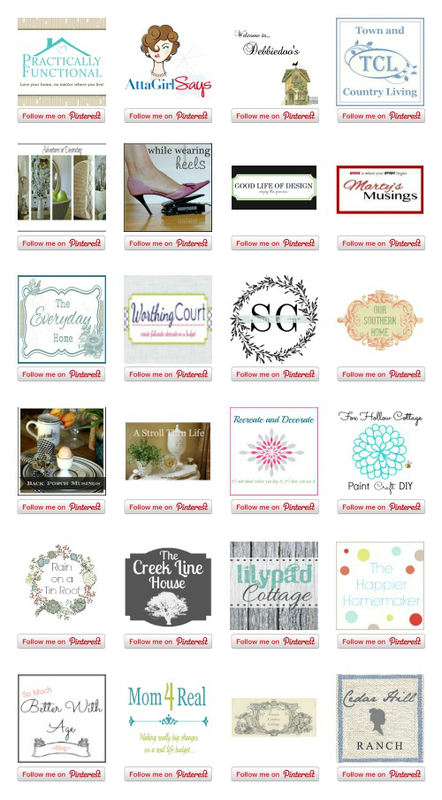 Step 2: Enter the giveaway using the Rafflecopter widget below! You do not think your kitchen is magazine worthy? I certainly do! It is beautiful and it is real! Very pretty kitchen. I love the accent color! I enjoyed seeing all the details. Wonderful post. Love the Kitchen……so you don’t recommend the faux granite? I was planning to buy some this weekend. Thanks for the great tour of your kitchen and I can’t wait to see the updates when they are finished. 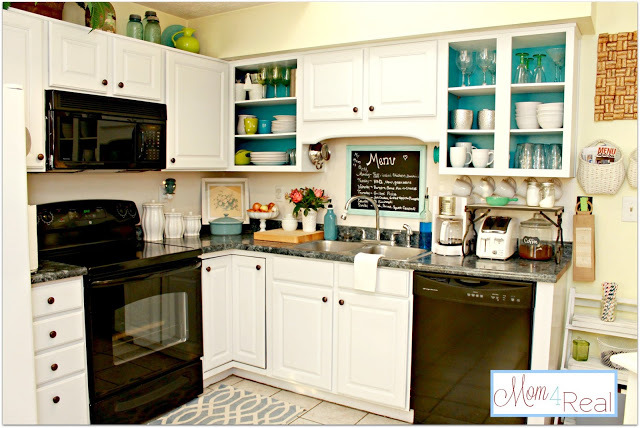 I like what you did with that pop of color in your open cabinets!! Oh Jess, can’t wait to see the new counter creation ;) You know I love your pretty bright kitchen. Vindication noted–LOVE the aqua! I’m visiting as many kitchens as I can today…just the pick-me-up I needed after a long day of teacher workshops! I’m a turquoise girl just like you Jessica! Love the kitchen! You aren’t kidding, things do change a lot around your kitchen. With each change, it seems to be even more interesting and stunning. 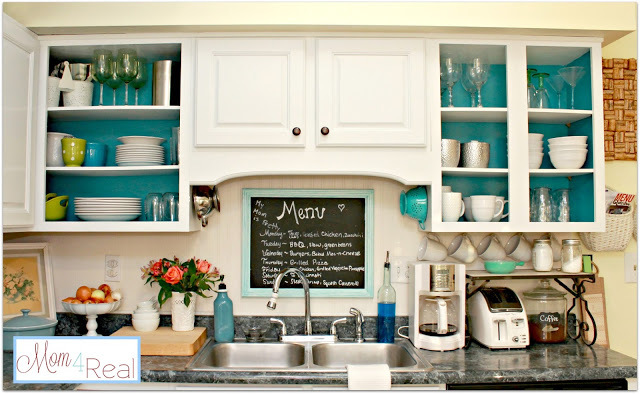 I love the turquoise in the cabinets and the little accents of turquoise throughout. Your kitchen just makes me happy. It’s bright and colorful. 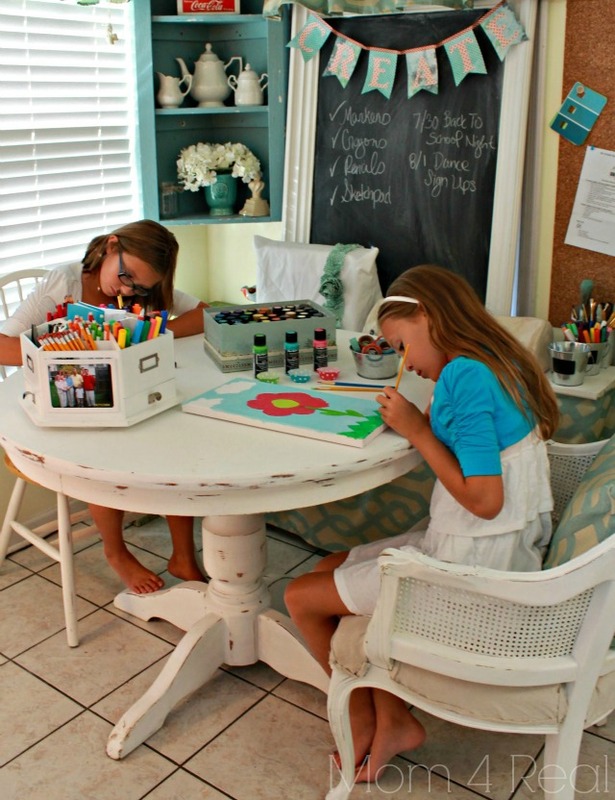 And, I adore your crafting area…and that your girls enjoy creating there as well. Wowee! I didn’t realize that you’d made so many drastic changes to your kitchen. Go you, lady! You’re a painting machine! I love you are real and love your family and are such FUN! I also love you keep changing, because, well, it is FUN! What precious little girls!!! It was worth giving up your little spot for them… oh, look how sweet they are working!!!! WHat a bright, full and fun-detailed kitchen! 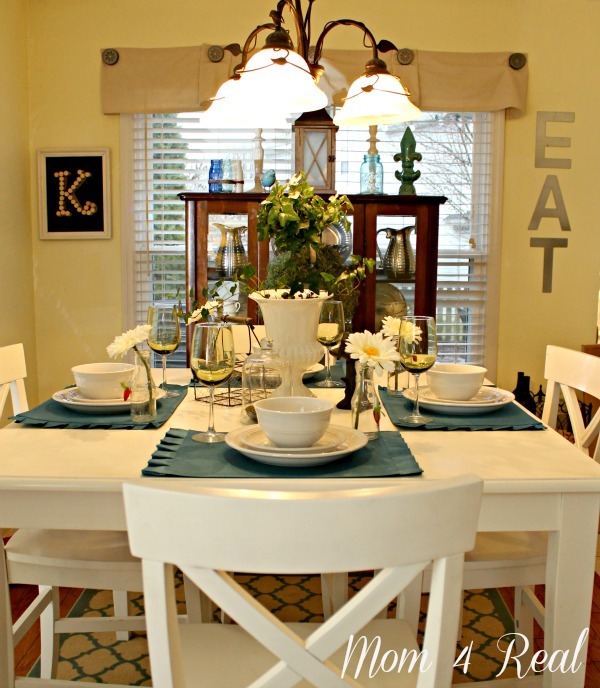 I LOVE LOVE LOVE the accent colors with the white and how you make it a true heart of your home!!!! Jessica, no wonder your blog is Mom 4 Real! You are the real-decorating deal! LOVE IT! 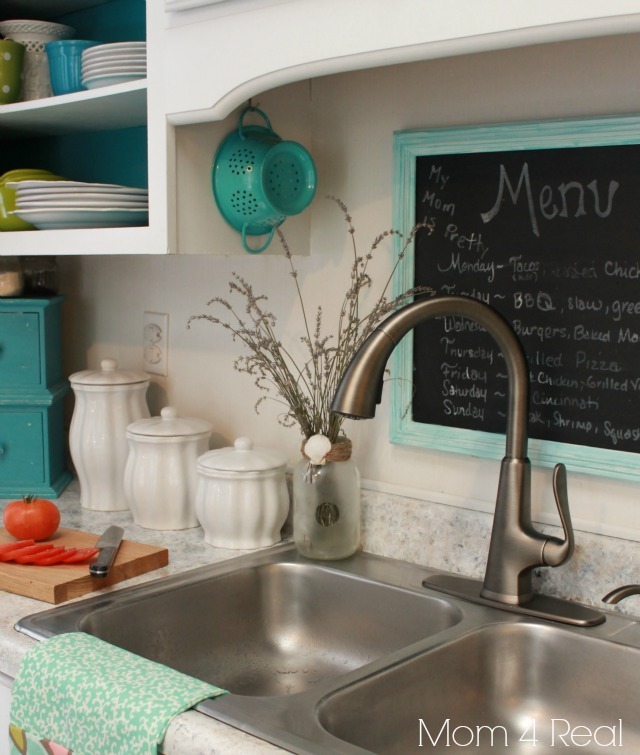 Love the pops of color in your kitchen!! 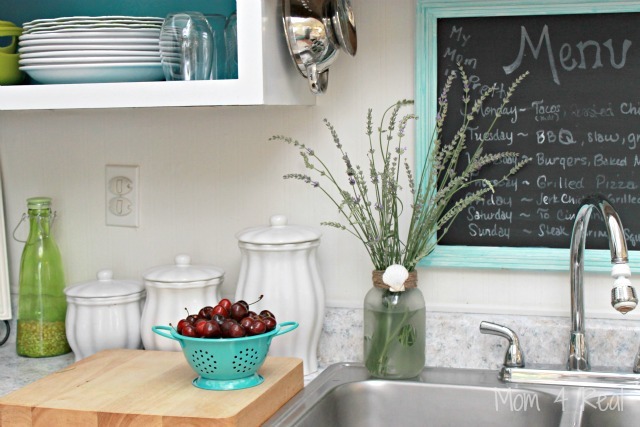 I have the same little turquoise colander! Your kitchen is lovely, and not a short end of the stick either lol. I love how fresh and bright it is and aqua just happens to be my favourite accent colour as well. You did a fantastic job on your kitchen, I can’t believe your counters aren’t real granite that is so amazing! I love the white with the blue so pretty! I just love your kitchen, Jessica! Every time that I see it, the strikes me as such a happy, bright and fun space filled with lots of love. I had no idea that was a granite paint treatment on your counters. Interesting that it didn’t hold up well. Can’t wait to see what you’re up to next in there. You have done an amazing job, gal! And I love that you don’t hide everything away for the pictures. I might possibly have done that ~hanging head in shame~ A place for everything and everything in its place. You’ve done that efficiently and beautifully. What a beautiful kitchen and I love your nook area too. Hope all is well. Change is good! And your change…fantastic!! Oh friend I adore your kitchen! 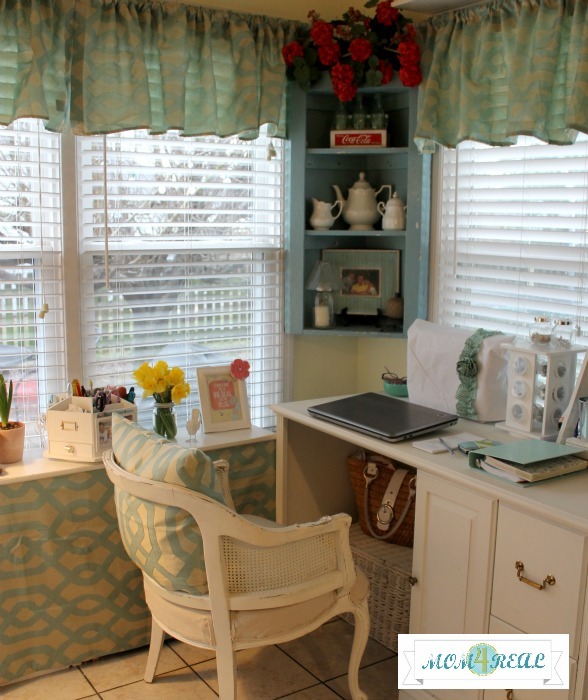 I love blue and love that you use it all over your spaces (like I do! )…just perfect. Your daughter thinks your pretty…..aaaaawww!!! Precious! Thanks for sharing it with us!